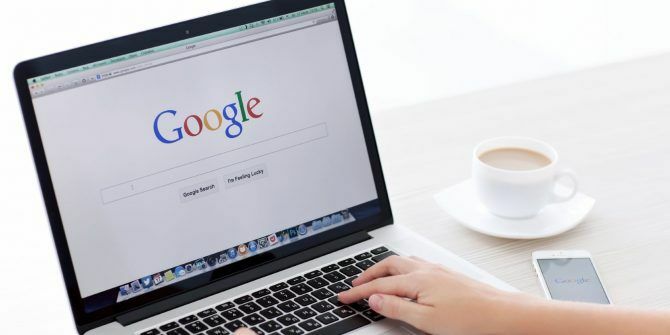 We all use Google Search every day, but how many of us really know about all the clever tricks you can perform 3 Google Tricks When You Don't Know What to Search For 3 Google Tricks When You Don't Know What to Search For Read More ? Learning some of the advanced features will quickly turn you into a power user. One such trick is an image search 5 Unusual Uses of Google Image Search You Might Not Have Heard About 5 Unusual Uses of Google Image Search You Might Not Have Heard About What’s your main use for Google Image Search? Do you use it to search similar images? Or do you put it to any of the uses I listed in my advanced Google Search for images... Read More . It’s great for locating the origins of an image on a webpage or tracking down the artist responsible for a cool painting you saw while out and about. In this brief article, we are going to show you how to perform an image search on Google when using the web, Android, and iOS. In the upper right-hand corner, click on Images. On the search box, click on the camera icon. You now have two options. Either click on Paste image URL to enter the web address on an image, or click on Upload an image > Choose file to search for an image saved on your hard drive. Navigate to the image you want to perform a reverse search upon. On the popup menu, tap on Search Google for this image. Sadly, you cannot use Google Image Search with an image already saved on your device, meaning you can’t take a photo of something and then get Google to look for it. Do you use Google Image Search, or do you know about a better tool for finding images on the web? As always, you can leave all your tips and recommendations in the comments below. You can load / request desktop site to be loaded in Chrome browser, which allows you to upload a saved image.